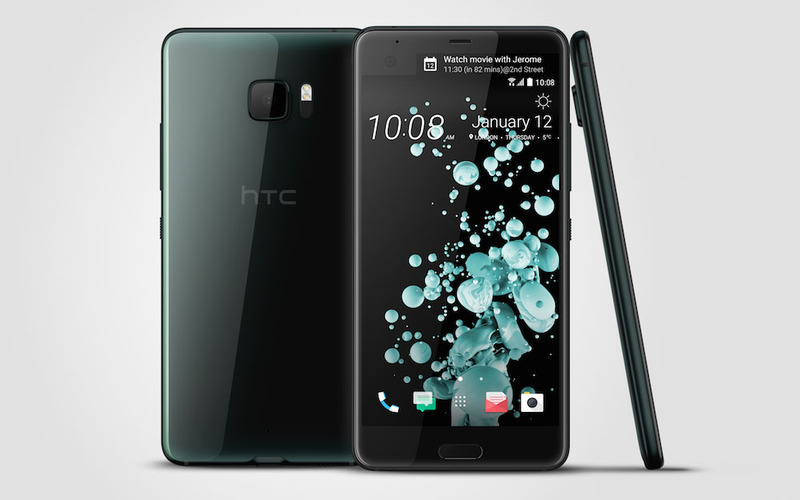 HTC unwrapped new phones last night, the U Ultra and U Play. You can read all about each at this announcement post, but this space will be for those curious about actual specs. Some of you love to know the dirty details of the insides, so that’s what we like to give you. As a recap, the U Ultra is the flagship of the two with a 5.7-inch QHD LCD display and secondary ticker, along with a Snapdragon 821 processor, 12MP UltraPixel 2 rear camera, 3000mAh battery, 64GB or 128GB storage, 4GB RAM, and Android 7.0 with HTC Sense. The U Play is the littler guy meant for global markets, with a 5.2-inch FHD LCD display, MediaTek processor, 3GB or 4GB RAM, 32GB or 64GB storage, 16MP rear and front cameras, 2500mAh battery, and some version of Android with HTC Sense. The U Ultra costs $749, is up for pre-order now, and ships in March. The U Play’s launch is up in the air.